Congratulations to the NES Custodial Staff! On Friday, September 8, 2017, the Hawaii State Department of Education (HIDOE) named its 2017 Employee and Team of the Year award winners today, recognizing employees for their special and continued contributions to education and the students of Hawaii. 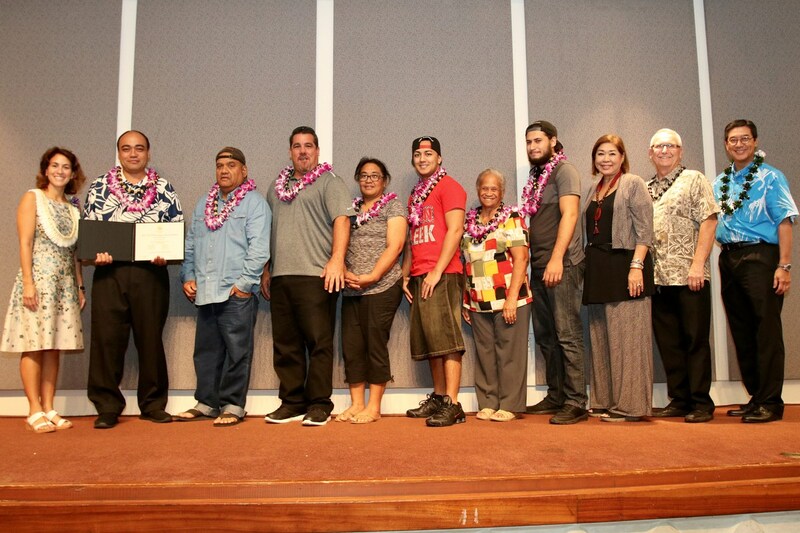 The Nanakuli Elementary School Custodial Staff were recognized as one of the 2017 Team Excellence Award of Merit winners. "Each of our awardees is motivated by a profound dedication to our students and they have performed outstanding work at our schools," said Dr. Christina Kishimoto, HIDOE Superintendent. "Our student successes are founded upon the hard work of our employees and these awards recognize only a small fraction of our collective efforts." 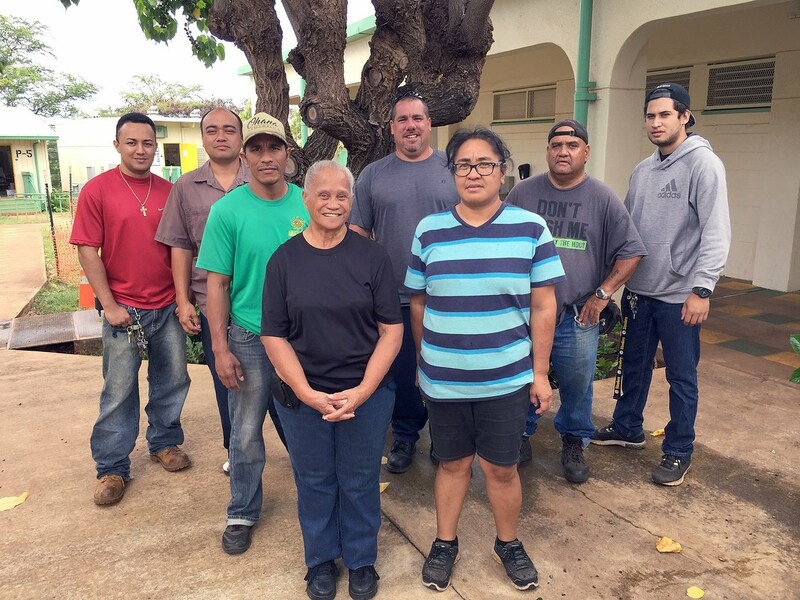 The pristine Nanakuli Elementary campus is an outward reflection of values held by its custodial staff who live and work in Nanakuli. The clean and safe campus instills in the students, faculty, and staff a "pride of place" that enables everyone to combine work, learning, and play. The aquaponics and gardening projects developed by the custodial team are examples of the traditional values of 'aina, or stewardship of the land; children are mentored to be caretakers of these projects, the campus, and community. Their school relationships are intertwined with their community involvement and build a sense of 'ohana, a continuum of caring and responsibility for each other beyond the school day. These values are everyday practices among the custodial team members and reflect the leadership of Head Custodian, Roy Kainoa. The values of pono, what is proper and right, directs the action of his team. 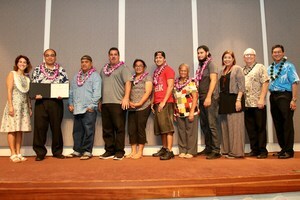 Congratulations and mahalo to Debbie Chun, Jon Damas, Eathan Jones, Lenora Jones, Perry Kainoa, Roy Kainoa, Colbert Kaio, and Douglas Ned!